The crux of Hal's work was painting portraits commissioned by patrons around Haarlem and he spent much of his time painting individuals and group portraits for the affluent classes. 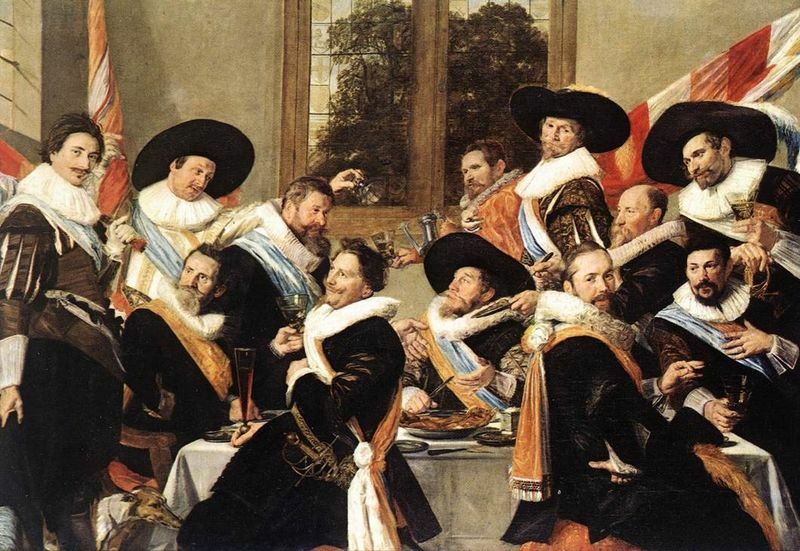 However, Hals liked to depict people from all walks of life in his native Haarlem and in doing so he gave a very unique and clear perception of Dutch society during the 17th century. 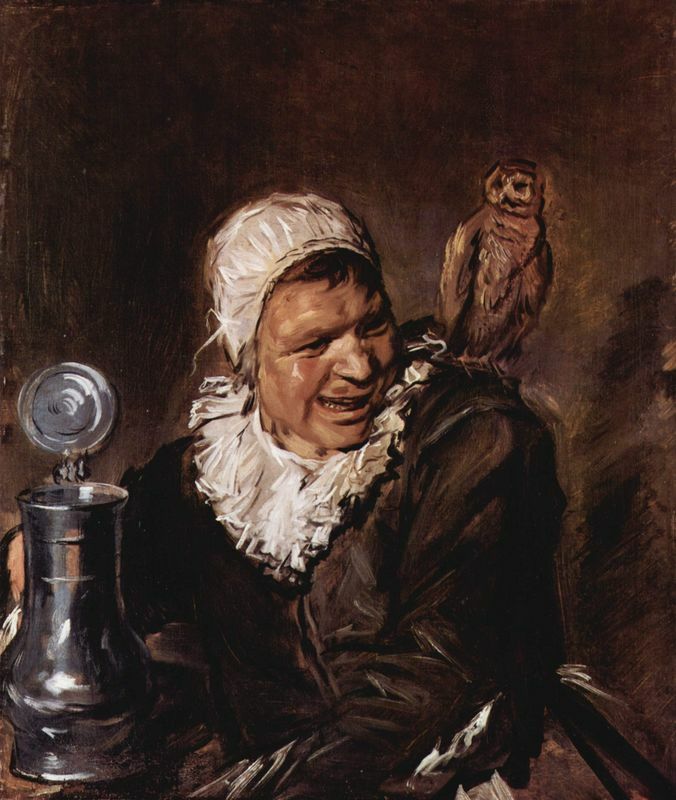 Unlike many traditional Baroque artists, Hals did not paint completely objectively. He would create an atmosphere and a different sense of composure for each subject to convey a true sense of self in his paintings. In this way he would accentuate not only their status in society through various symbolic gestures and dress but also portray features of the sitter that made them human. Furthermore, Hals was noted for his bright pictures and he seemed to love the vivid sheens and clarity of images in daylight. Frans Hal's first private works were of the ordinary society of Haarlem. 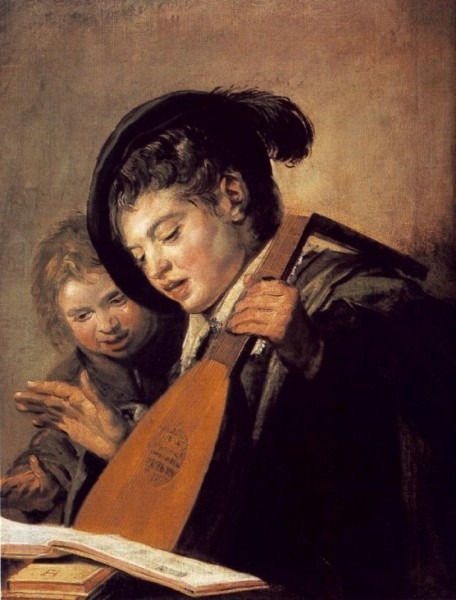 The earliest one noted is of two boys singing and playing. He would use these free subjects as a means of practice for his intense draughtmanship and painting style. 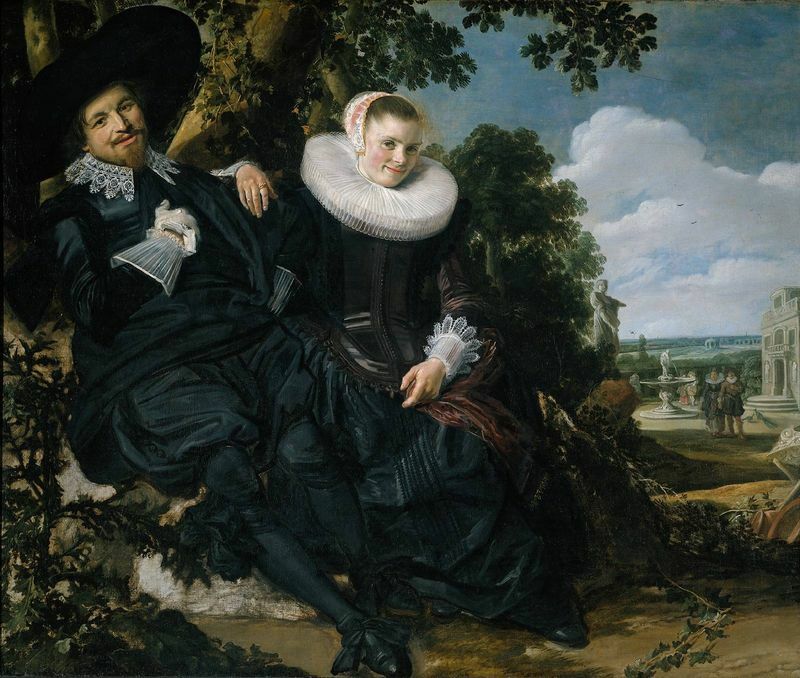 The 'tavern' or lower classes were not limited in their expressions like the upper classes were and through these subjects that Hals could find new ways of creating and defining character in his subjects. Creating and defining character would become part of Hals' oeuvre and make him a very popular artist among the Dutch public who deemed his style somewhat revolutionary. 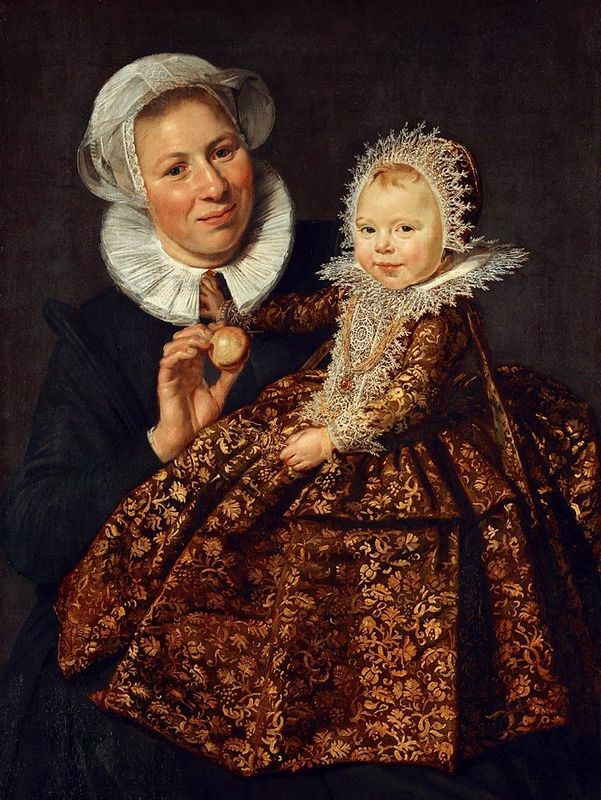 Hals' tendency to break away from tradition can be seen in his work Catharina Hooft with her Nurse. The artist enjoyed painting children as they are most susceptible to expressing their true selves without inhibitions. Besides facial expressions, Hals would also put his subjects in positions that would best accentuate them and entice a sort of narrative. He would do this for his group portraits whereby each subject was depicted individually to capture the true spirit of the group. Frans Hal's palette and paint products would contain a range of pastos, impastos, and carmines and he blended sharp and vivid colors. He used warm tones mainly for his subjects' flushed faces and his various multi-layering techniques. In his early works Hals would use paint much more freely and it could be seen by his vivid brush strokes and bold use of soft ochres and broad lines of pastille colors to show light breaking in upon texture. In the middle years of his career Hals's palette was much more limited. He no longer used color to define their presence in the image but rather to define tones upon objects and clothing in intricate detail. Color was less bold and had a less dashing presence than in earlier works where they had more volume and luster. As Hals continued to create new ways of expressing his subject matter and developing his painting style, his palette became darker and his colors continued to make a meager presence. This could be due to the artist's financial difficulties during this time, as it coincided with his bakery debt. Thus, good paints became something of a luxury purchase. After 1655, Hals seems to completely indulge in black tones as dark shadows dominate his works and override the subject matter. 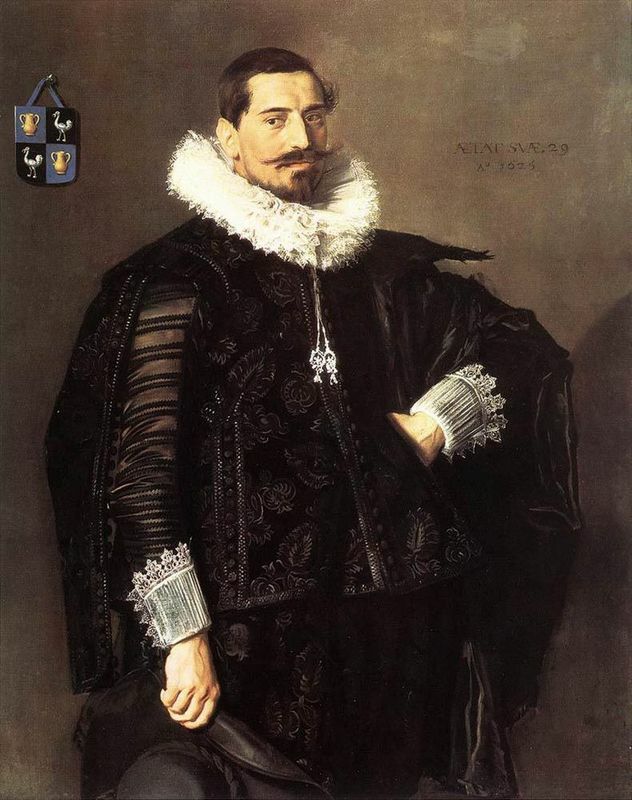 This was most likely due to the sober dress of his protestant sitters rather than a personal preference. As well as a talented painter, Hals was an excellent sketcher and draughtsman. Art historians have proven that Hals would in fact first draw his image upon the canvas before painting it. He would then coat his sketch in a sort of chalk lining in pink or grey which would add sheen and volume to the finished work. Hals was very free with his hand when creating a canvas and would focus on certain areas as he saw fit. He enjoyed applying multiple tones where light touched the surface and in this way he created a sense of movement and atmosphere. Daubing is dominant in all of Hal's works as he uses not one smooth color to define objects and surfaces but rather a multitude of tones, creating a fresh approach to realist painting. Hal's technique is not only seen in his finished work but also in the process he undertook to create it. In Malle Babbe you can see how the paint is applied in detail and can trace the surge of his hand movements as he painted the image. Later in his career Hals used looser brush strokes and fine detail became less important than the overall impression. Where his earlier pieces radiated gaiety and liveliness, his later portraits emphasized the stature and dignity of the people portrayed. Hal's revolutionary technique and oeuvre inspired a new artistic style of Impressionism some two centuries later.